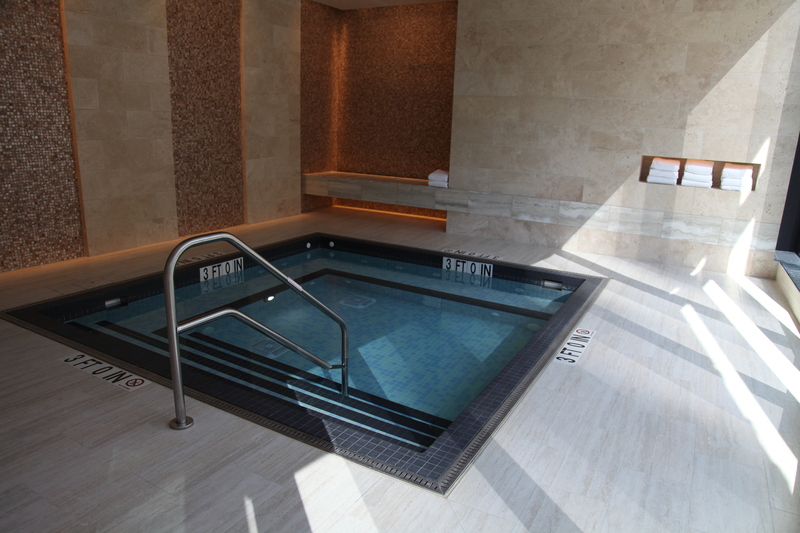 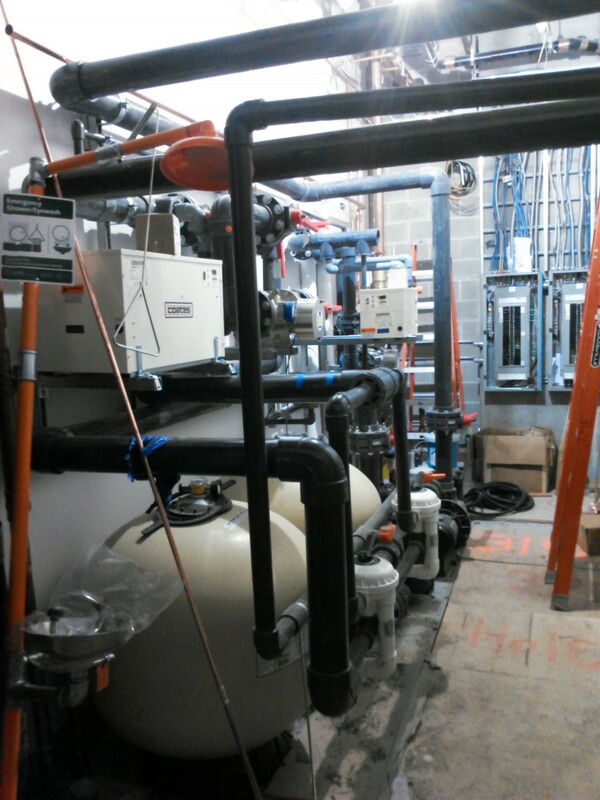 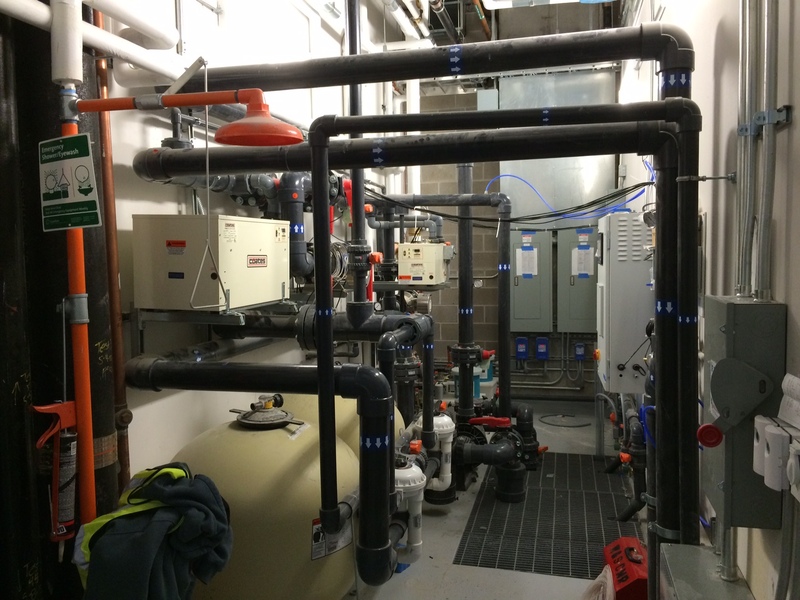 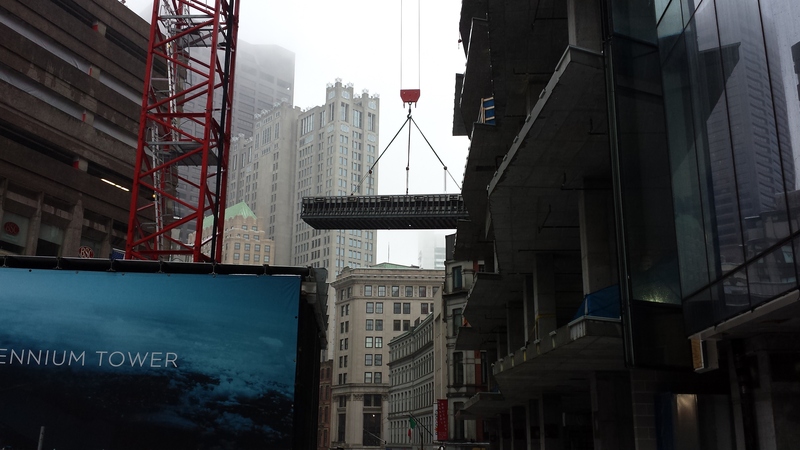 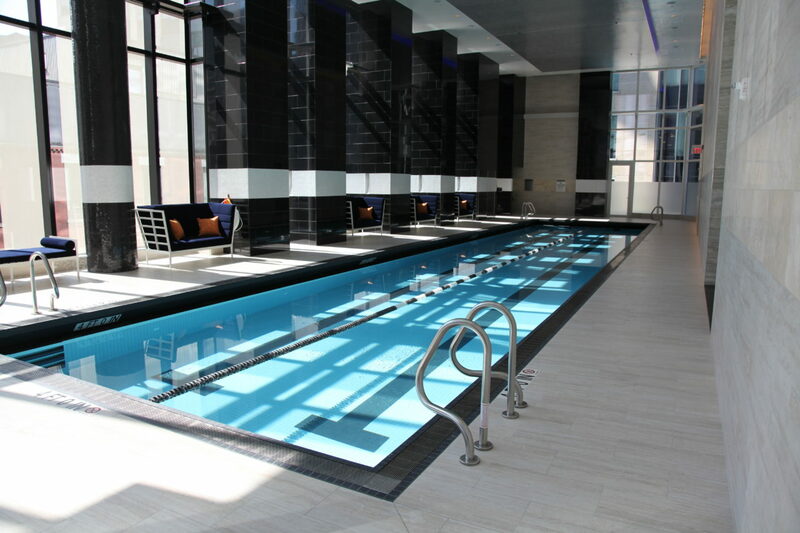 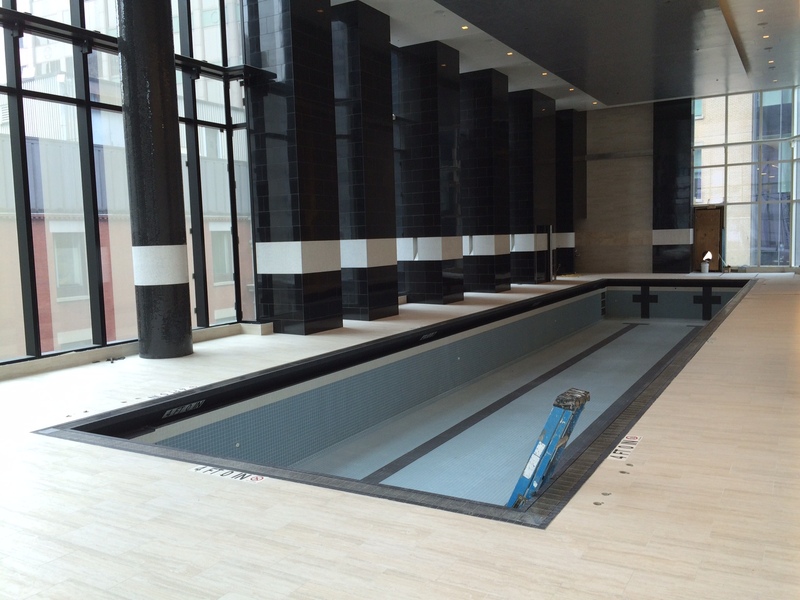 Weston & Sampson provided design and construction services for the installation of a swimming pool and spa at the Millennium Tower (1 Franklin Street Boston, Massachusetts). 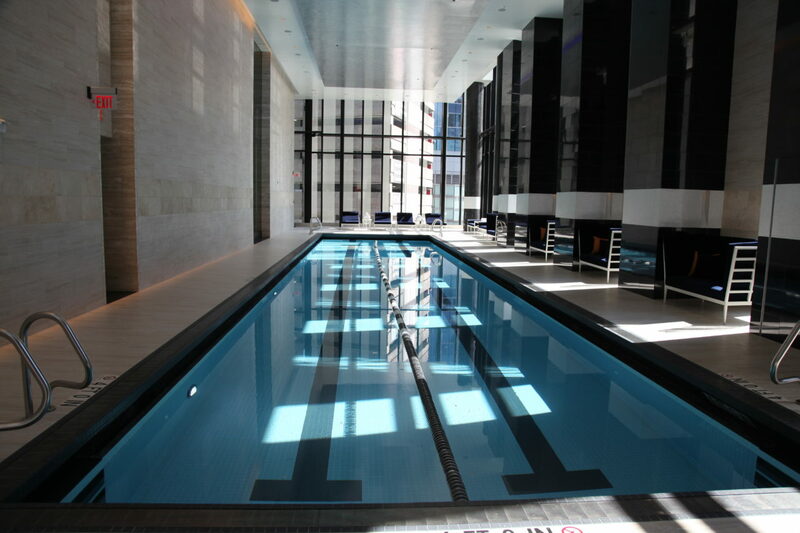 The pool was set with a crane and rigging crew in the middle of winter to keep the 60 story building construction on schedule. 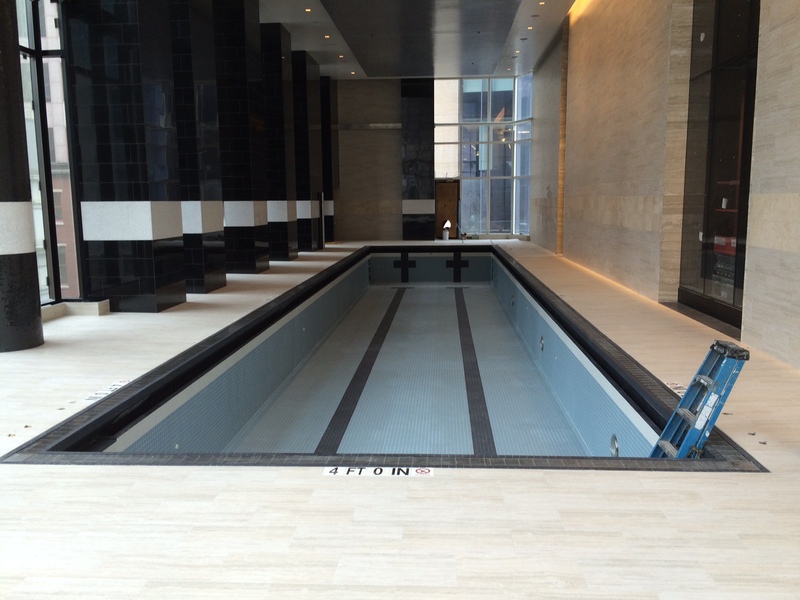 The total pool construction value was $900,000. 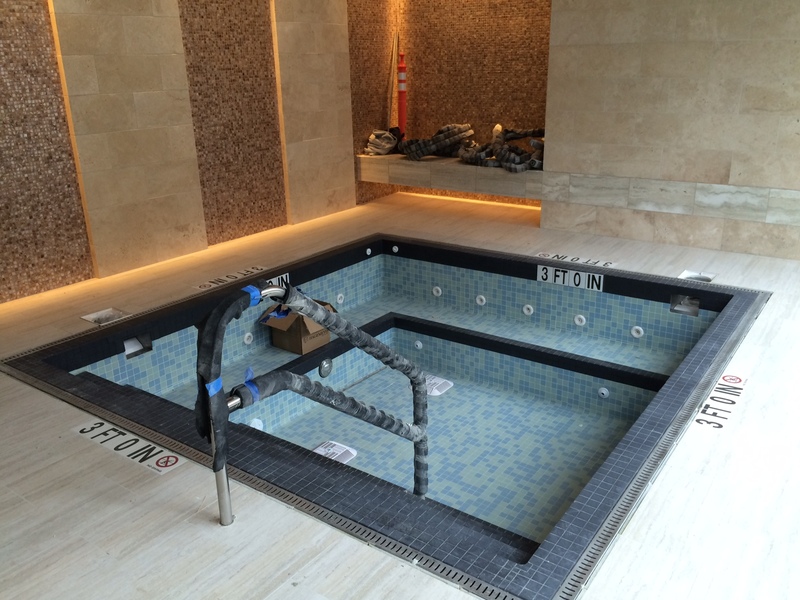 The pool and spa have a fully welded stainless steel shell and are completely covered with ceramic tile. 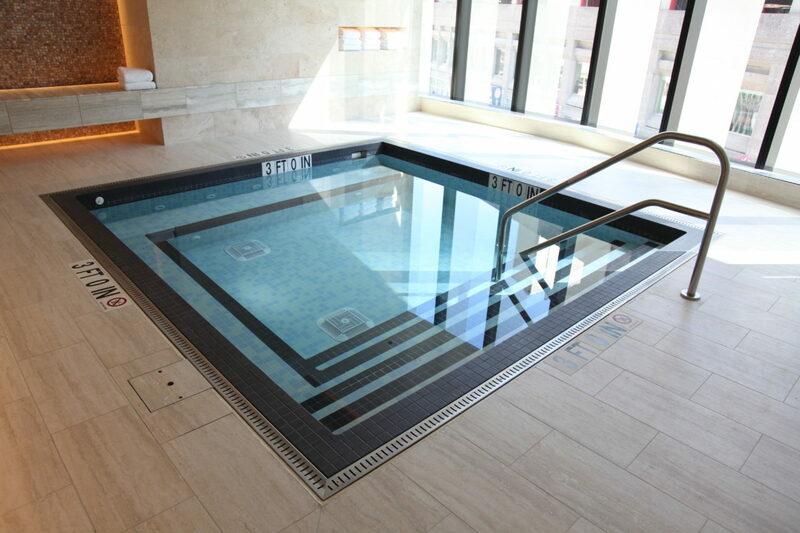 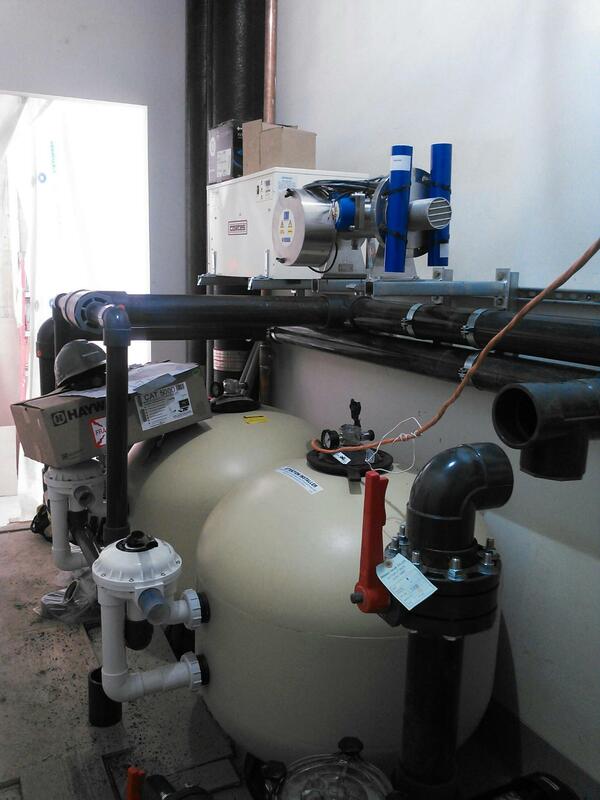 The pool and spa have UV and chlorine disinfection. 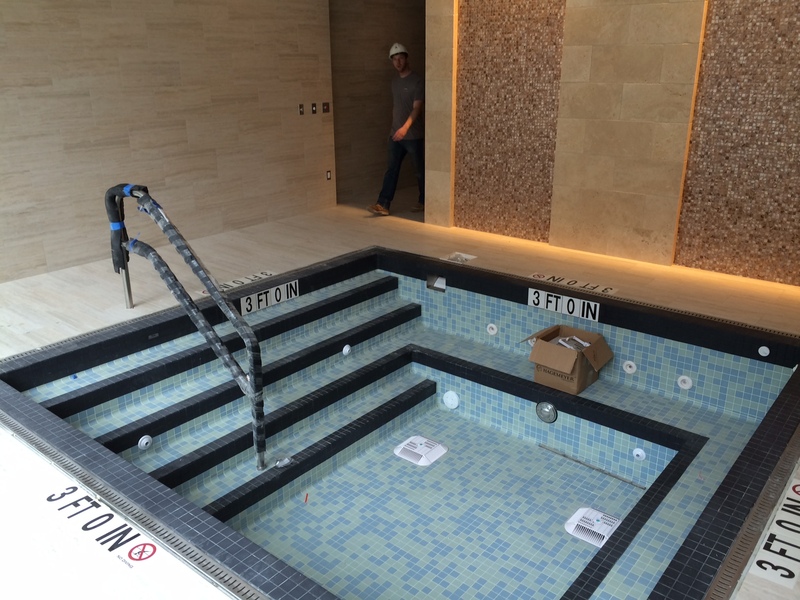 For superior air quality the suction for the a dehumidification system was incorporated into the deck drain around the pool. 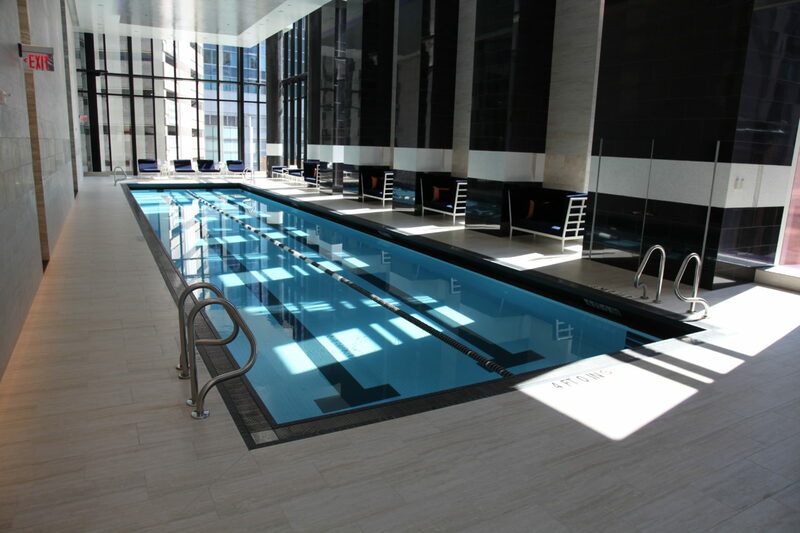 Posted in Aquatics, Construction, Pools & Splashpads, Rooftop and tagged hi-rise, Millennium.